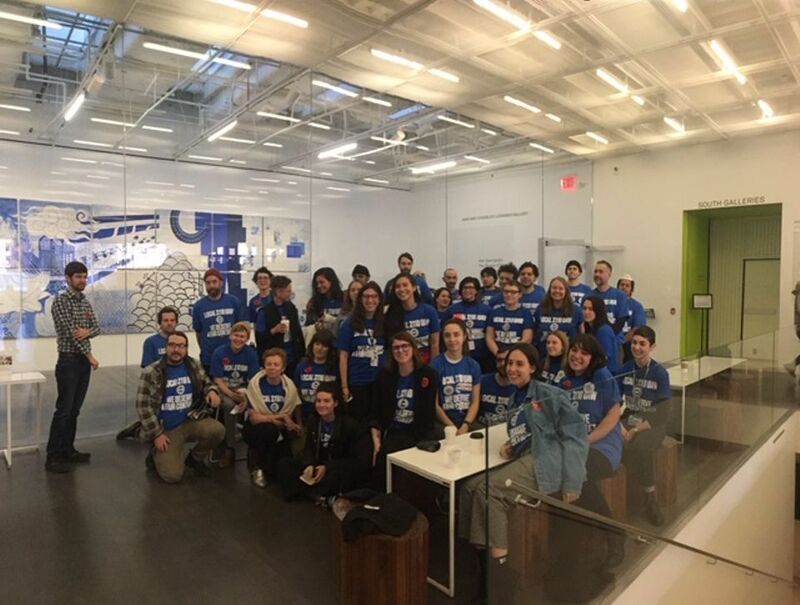 Employees at the New Museum in New York voted overwhelmingly today (24 January) to become part of Local 2110 of the United Auto Workers after a union campaign that prompted the museum leadership to seek outside advice from a firm specializing in “union avoidance”. Dana Kopel, a senior editor and publications coordinator at the museum who has overseen the union organising effort, said that 38 staff members voted in favor of joining and 8 voted against it. The union local they are joining already represents employees at the Museum of Modern Art, the Bronx Museum of the Arts and the New-York Historical Society. An additional 10 ballots were cast by employees whom the museum deemed ineligible for union membership and were left unopened. According to Kopel, the union organisers had agreed not to unseal those ballots unless their number was greater than the difference between the “yes” and “no” votes. “We’re going to celebrate,” she says. The museum considered 53 people eligible to vote, Kopel says. The union organisers' count is around 70, but the museum deemed some of those employees to be ineligible for union membership because they could be classified as supervisors. The union organisers disagree in many cases, Kopel says. Among the top issues that the employees hope to address as union members are salary levels, overtime and the high level of turnover at the museum, which leaves employees saddled with extra duties, she adds. “We want to make it sustainable for people to stay here at the museum,” Kopel says. Safety is also an issue for art handlers, she says. Tensions had arisen between management and the staff members leading the union effort in recent weeks after the museum hired a Kentucky-based consulting firm, Adams Nash Haskell & Sheridan, that markets its “anti-union services” and bills itself as a “team of experienced union avoidance consultants”. Some of the organisers felt that enlisting that firm ran counter to the museum’s stated goal of promoting free expression. Maida Rosenstein, president of Local 2110 of the United Auto Workers, says the next step is to have the new union contingent certified by the National Labor Relations Board within seven days. (A labor board representative oversaw the voting in the museum’s basement theater.) Then museum staff members will need to elect a negotiating committee to begin bargaining on the first union contract with the museum leadership. “We’re very hopeful. We want very much to establish a good dialogue with management,” Rosenstein said. “We’re hoping that we’ll put the relationship on a different footing than it has been during this campaign.